It is the policy of Balboa Academy that our students shall be provided an appropriate education where decisions are based on the individual needs of the student, in the least restrictive environment possible in accordance with our guiding principles. Our goal is to provide a quality individualized program that prepares every student for success in a global environment. Embedded in this commitment is the practice of inclusive education, which is defined as the participation of all students, including those with disabilities, special needs, limited language proficiency, or identified gifted levels, in the General Education classroom and program, as appropriate. Supplementary aids and services are provided and monitored where necessary to ensure success. Direct special education instruction within the least restrictive environment of the general education classroom through co-teaching and collaborative instruction. 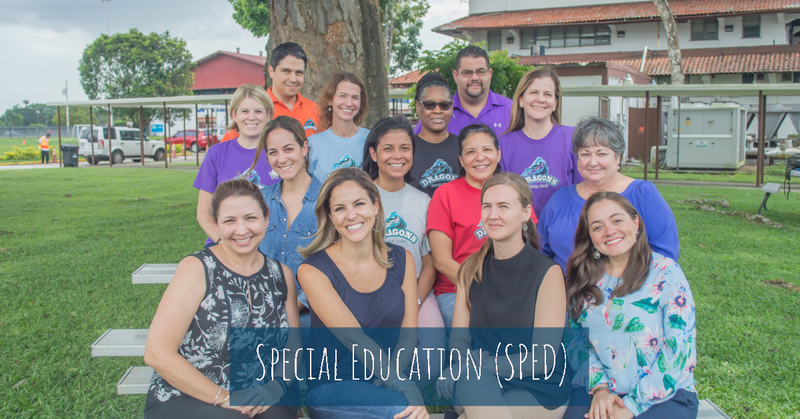 Direct support for individual students by the special education teacher and/or general educator by making adaptations or modifications to the general education curriculum and assessments. Individualized or small group instruction to meet the academic and unique needs of each student, either within the general education classroom or with pull-out resource services. Provide support to the general educator with guidance from the education specialist and/or related service provider on appropriate strategies for instruction, behavior management, data collection, observation, and feedback in the general education setting. Ensure efficient service delivery through constant communication between general and special educators. Students in the general classroom receive special instruction or related services during the school day. IEP goals and objectives become part of daily classroom routines and instruction. Services are provided in or outside the regular classroom, in accordance with each child’s IEP. Balboa Academy staff, parents, students, & sponsors follow procedures and guidelines determined to most benefit the students in the spirit on Least Restrictive Environment (LRE).